Whether it's cosying yourself away around a wood-burning stove or flinging open the stable-style doors and basking in the sun, nothing beats a shepherd's hut retreat. Explore our complete collection of shepherd's hut glamping sites and find the place that's right for you. Easy-going camping for all, just a stroll away from famous Cheddar Gorge. How often do you get to stay in a hand-built home? At Westland Farm you can enjoy camping or glamping whilst feeling like you’re part of a working farm. A charming Dorset campsite overlooking the beautiful Stour valley and a short walk from both the river and the market town of Wimborne Minster. A relaxed, back-to-basics campsite on the Norfolk Suffolk border. Just a stone's throw from beautiful Norwich, this wonderfully laid back site is your gateway to the famous Norfolk Broads. 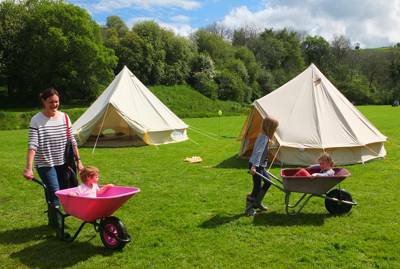 A family-run, working farm in East Sussex offering spacious, traditional camping with no set pitches. Shepherds huts and bell tents in the heart of the Wiltshire countryside, with the ancient mysteries of the North Wessex Downs to discover. 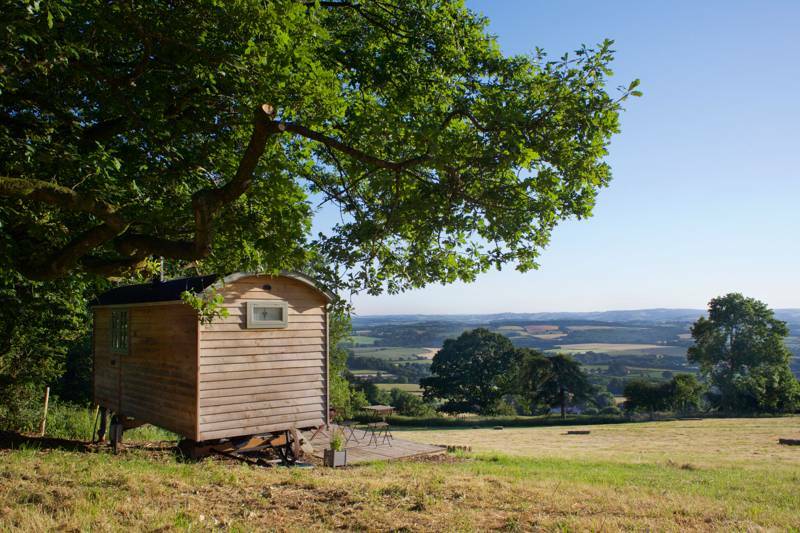 Carefree camping and glamping in Devon with a nature-friendly setting and imaginative owners. 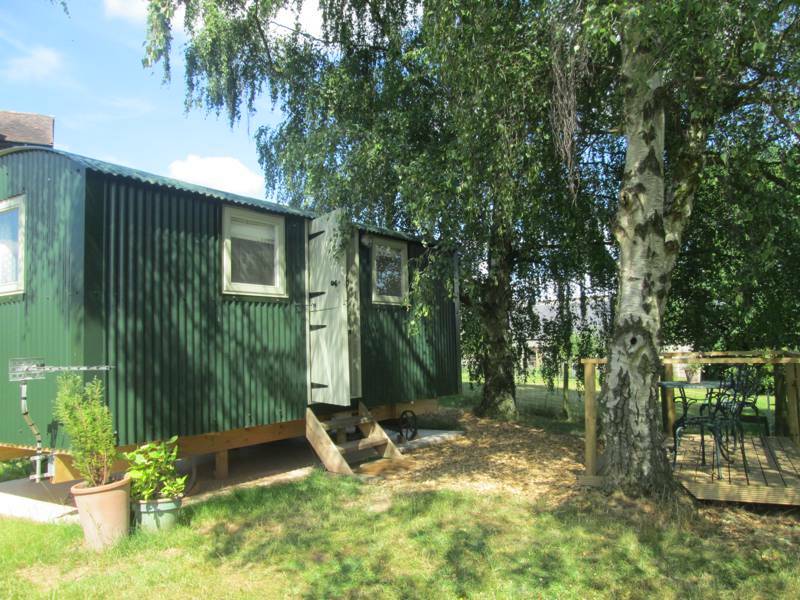 Romantic shepherd’s huts on a riverside Oxfordshire farm each with their own private space. Romatic woodland escape? Adrenaline-filled adventure? Paintballing war with the work crew? This secluded Scottish gem in the spectacular Findhorn Valley offers it all. Luxurious shepherd's hut glamping in the grounds of 14th-century Samlesbury Hall in Lancashire. 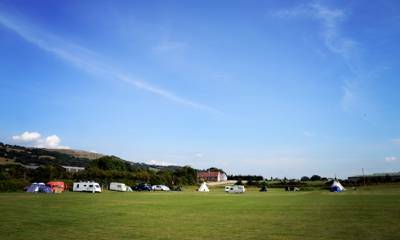 A small, peaceful campsite with a relaxed atmosphere and an unbeatable location for visiting Rye and East Sussex. A charming glamping getaway on the North Devon Heritage Coast near some of the finest beaches in the south-west. 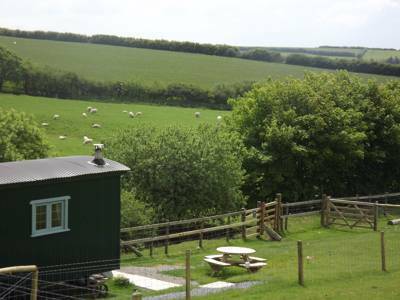 A unique haven of peace and tranquillity in Cornwall with comfortable eco-accommodation in yurts, a shepherd’s hut and a strawbale barn – all within a gorgeous 10-acre organic farm. 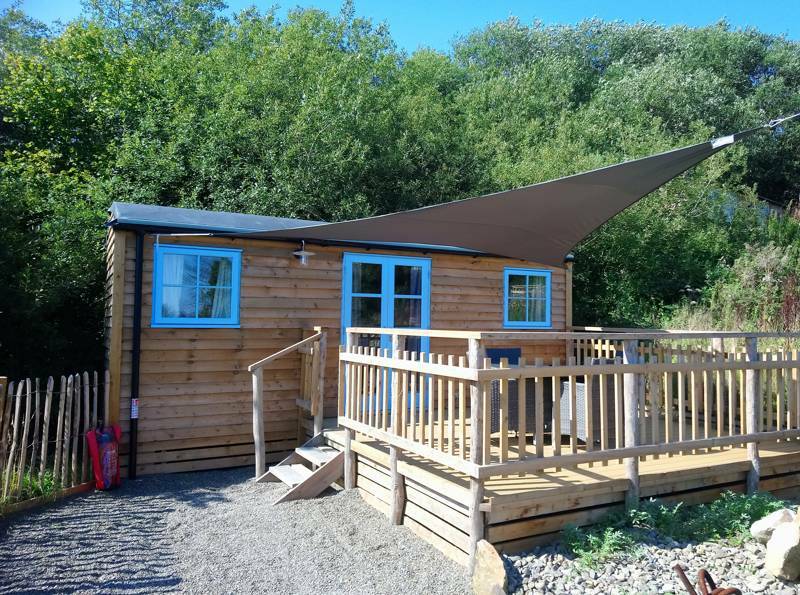 Cosy shepherd's huts in the Brecon Beacons National Park with wonderful valley views, hospitable hosts and excellent footpaths on the doorstep. No passing traffic; no near neighbours; just sweet rural seclusion when glamping at this organic Fenland apple orchard near Cambridge. Glamping and alpaca trekking – it's a marriage made in heaven. Glamping in Worcestershire: A cabin, treehouse and waterside shepherd's hut on a rural Worcestershire glamping site, where alpaca trekking is all part of the fun. Secluded, peaceful glamping on the edge of the New Forest. 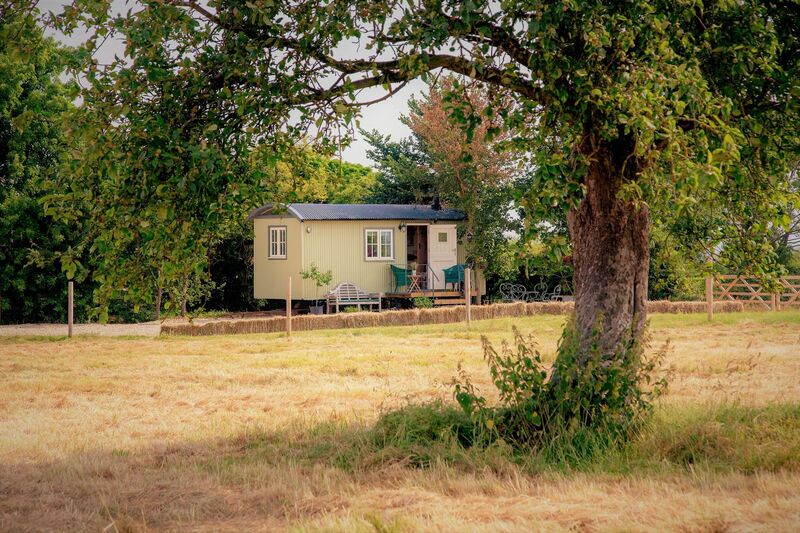 A luxury self-catering shepherds hut tucked away on the beautiful Essex coast. An authentic shepherd's hut in Kent, restored from the 1890s and kitted out for couples with a king-sized bed, wood-burning stove and views over the Kent Downs. Glamping literally reaches new heights in the Peak District National Park. Beautiful handmade shepherd's huts in the heart of the picturesque South Lakes. Serenity Camping is a peaceful and relaxed campsite located between the North York Moors and beautiful sandy beaches. Two charming, self-contained shepherds huts set on a West Somerset estate close to the Somerset Levels and in sight of the Blackdown Hills. Shepherd's huts may have been used in Sussex since the 18th century but this new collection right beside the South Downs Way offers many a modern comfort. 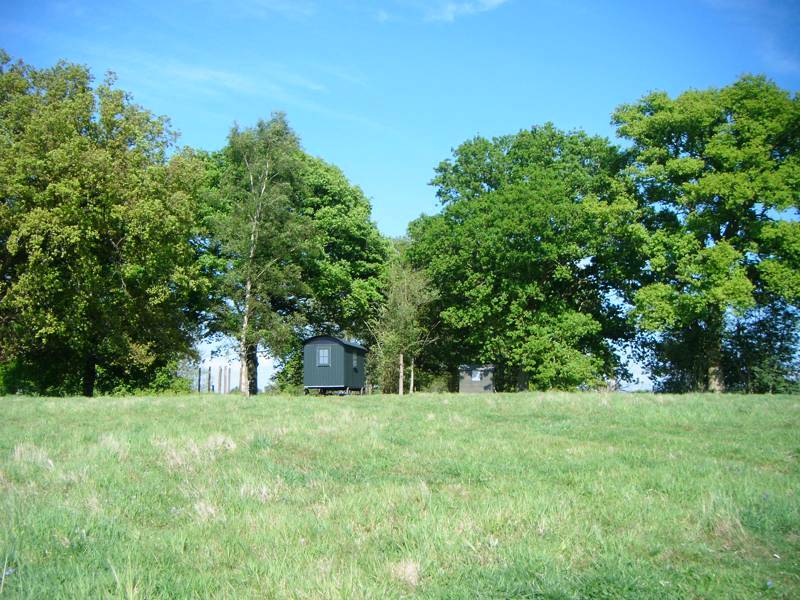 Beautifully finished shepherd’s hut on a Dorset farm in a 1.5 acre forest garden with stunning views. Nothing provides better year-round glamping accommodation than a shepherd's hut. Inspired by the travelling shepherds of old, transporting their wares in these four-wheeled hideouts, shepherd's hut are arguably the origin of glamping. Sure, shepherd's back then didn't have deep double beds and en-suite toilets but what's to stop us now? If you're looking for the best shepherd's hut glampsites you've come to the right place. Browse our selection of the best Shepherd's Hut glamping here on the Cool Camping website and book your next glamping holiday online today. What is a shepherd's hut? Shepherd's huts were originally used several hundred years ago, with the earliest notes about their use dating back to the late 16th century. The huts were humble affairs, crafted on farms and built with whatever was at hand. If you had a resident carpenter or woodsman on the farm, then your shepherd’s hut would have been built from wood and, if a blacksmith, then it would be built from repurposed metal. These huts were not about luxury but about a simple, practical shelter for working hill farmers and shepherds. The use of shepherd's huts peaked in the mid 19th century, a time when they were particularly prevalent in the south of England and in Wales – most notably in the South Downs, the West Country and the rolling Welsh valleys. It was around this time, too, that you’ll find them inspiring novelists such as Thomas Hardy. Shepherd’s huts began to dwindle in the 20th century, with the advent of mechanised farm machinery and electric power reaching rural farms. Shepherds huts were still used, however, in the more remote part of the county and in the roughest upland terrain, particularly Northumberland and the Scottish Borders. During these times, a shepherd’s hut offered everything rolled into one. A shepherd’s hut was a bedroom, dining room, kitchen, sitting room, storeroom and wet-weather shelter all simultaneously. They would almost always have a stove with a chimney in one corner – providing heating, drying and somewhere to cook – and a window on each side so that the shepherd could see his flock from inside. A hinged stable door, positioned away from the prevailing wind, enabled the shepherd to hear the flock and any stirs of trouble, while strong axels and wheels allowed the shepherd to move with the sheep, from field to field or area to area. At times, shepherd’s may be out in their hut for months at a time. Today things have changed. Shepherd’s huts have become a far more luxury offering and, when it comes to glamping, you’ll now find shepherd’s huts with deep double beds, plump pillows, en-suite bathrooms, modern kitchens, electricity and running water. Some glamping sites offer genuine, original shepherd’s huts that have been restored from their former use and are now offered to glampers. Other sites will offer newly built units with all the mod cons you could ask for, like power showers and under-floor hearing. Whatever you’re after, here on the Cool Camping website we're sure to know of a place that’s right for you. Browse our collection now and book your break online today. Why go glamping in a shepherd's hut? As with all glamping, the benefit of staying in a shepherds hut is that you needn't faff about with the tent or clog your car with expensive camping gear. Even so, when compared with other forms of accommodation such as tipis and safari tents, you'll often find the shepherd's hut comes hut on top. 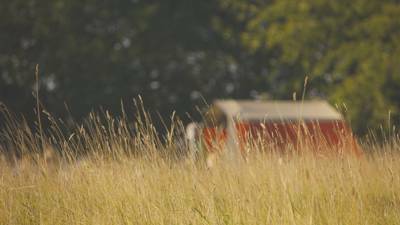 Shepherd's huts are one of the most popular forms of glamping accommodation and for good reason. They offer sturdy, weather-proof accommodation all year round and, while the likes of bell tents and yurts may prove appropriate in the sunny glamping months of summer, during the depths of winter the shelter of a shepherd's hut is very tough to beat. There is also something wonderfully romantic about glamping in a shepherd's hut. They offer a sense of history and heritage that something like a modern glamping pod cannot offer. There's nothing more wonderful, for example, than sitting cosy around the log-burner while rain tap-dances on the corrugated roof of your hut. The compact, practical nature of a shepherd's hut, meanwhile, also makes it a handy alternative to staying in a modern cottage or holiday home. They offer self catered accommodation all rolled into one small space, with a kitchen, bedroom and living space all seamlessly combined and often at a far better price too. – Warm, dry and cosy, they offer the perfect insurance against the weather all year round. – There's no need to bring and buy a tent. – There's something undeniably romantic about hiding away in these snug and historical abodes. – Sturdy, strong and versatile, shepherd's huts will often offer electricity, running water and handy kitchen facilities. – You'll feel like the protagonist in a Thomas Hardy novel. Shepherd's huts are, given their history, an inherently British structure. As a result, if you're going glamping in France they are generally much fewer and far between. In France, Spain and the rest of Europe you will also generally find that glamping accommodation caters to the warmer, sunnier climate. 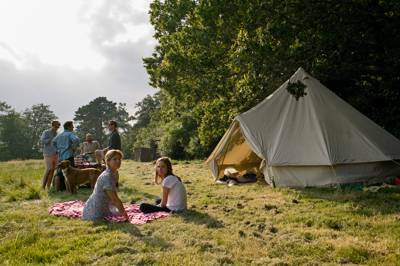 The likes of bell tents, safari tents and airy canvas structures are far more prevalent. Nevertheless, there are one or two shepherd's hut glamping sites on the continent and, if your travelling during the cooler season, they're worthwhile seeking out. Here on the Cool Camping website you can search and find shepherd's huts quickly and easily and also filter your results using our handy refine your search function. Whatever you're after, you've come to the right place. they're cosy, romantic and charming with bags of history and a wonderfully homely feel snuggled away in the rolling landscapes of the countryside. We love the way glamping sites today have taken such an iconic countryside structure and transformed it from its humble origins to a compact form of luxury accommodation with built-in double beds, fully functioning kitchenettes and en-suite bathroom facilities. In the winter time, you can warm around the campfire and stay snug as rain drops tap upon the rooftop, while in summer you can fling open the shepherd's hut doors and bask in the sunlight just as shepherd's wood in the hills centuries ago. For luxury, romance and a hefty dose of nostalgia, we just adore shepherd's hut glamping! Shepherds Hut glamping, shepherd hut, shepherd's huts camping glamping accommodation at Shepherd's Huts, From cosy nooks in the mountains to coastal glamping retreats, discover the best shepherd's huts across the UK, France and Europe with this specially selected collection from the experts at Cool Camping.